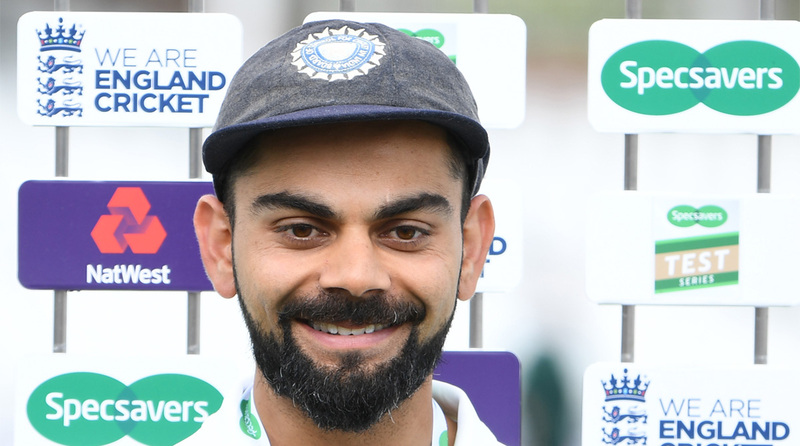 Kohli has so far scored 440 runs with two hundreds in three Tests as India made a comeback with a 203-run win in the Trent Bridge game. Virat Kohli’s passion is unmatched and his game sense can only be compared to the legendary Sachin Tendulkar, feels Indian team’s head coach Ravi Shastri. “He (Kohli) is very passionate about the game. He loves batting. He loves to do the hard yards. His work ethic is second to none and I have not seen any cricketer. I will put (Sachin) Tendulkar in that bracket when it comes to preparation, visualising situations, how he goes about planning, ability to stay in present — great qualities in any human being,” Shastri told Mike Atherton during an interview for Sky Sports. Shastri said that despite two classic Test match innings 97 and 103 in Nottingham, Kohli will start with a clean slate in the next game. “I promise you that these two innings, he has forgotten. He will take guard as if he has not got runs in this series,” Shastri said. The former all-rounder reiterated that the current fast bowling unit is “best by a mile” in the history of Indian cricket. “Oh by a mile (if they are best group of fast bowlers) and (also in terms of) bench strength. If you look, the two potently best bowlers for English conditions would have been Jasprit Bumrah and Bhuvneshwar Kumar.